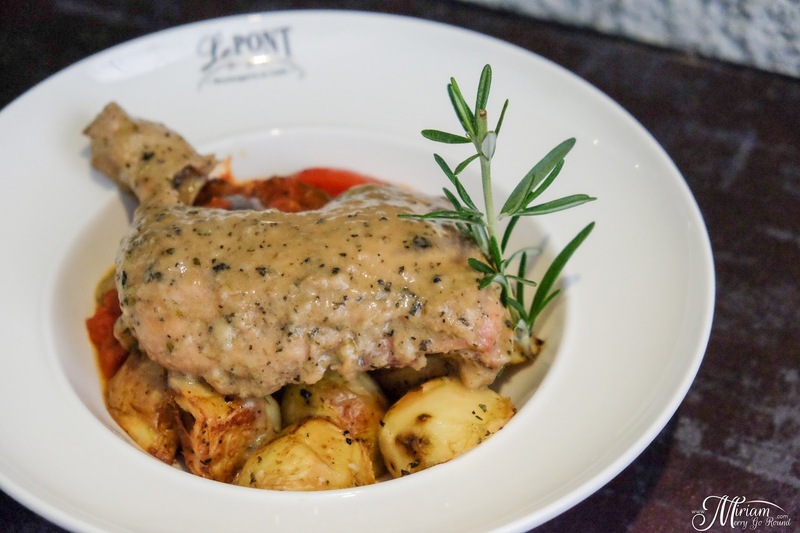 Savor French casual fine dining cuisines without travelling to Paris at Le Pont. 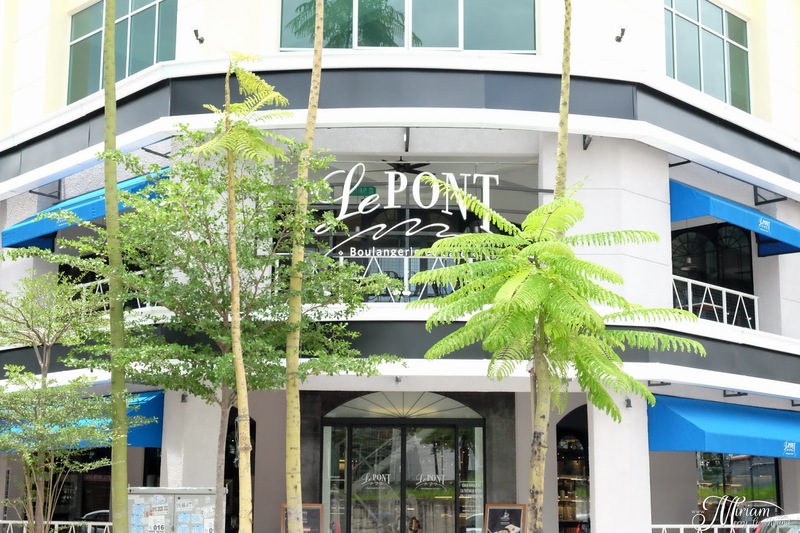 Since opening its doors 2 years ago, Le Pont has impressed many with its authentic presentation of French casual fine dining in a spacious and elegant environment. 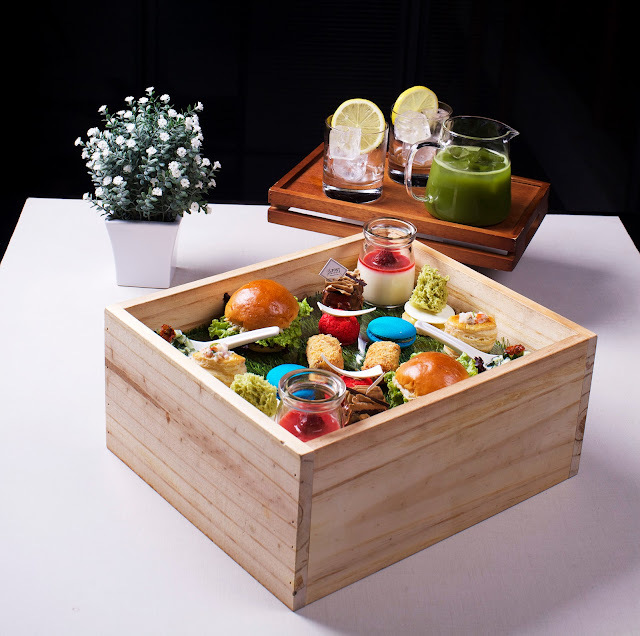 They recently reveled their latest menu themed 'Paris Parfait' which is the labour of love of the chefs at Le Pont. Thanks to Le Pont for inviting me to try their latest menu which included main courses and desserts to share plus a hidden surprise. Read on to find out Le Pont's latest addition which will literally bring you out of this world. We started off on trying some of the baked goods available in the bakery section of Le Pont. 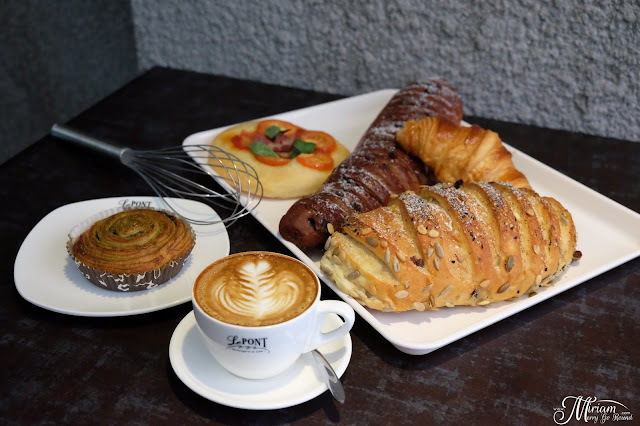 Fragrant baked goods remind me of the time I was in Paris especially freshly baked baguettes, buttery croissants and sweet treats. No doubt, the pastry at Le Pont do not disappoint and were a pleasure to enjoy. 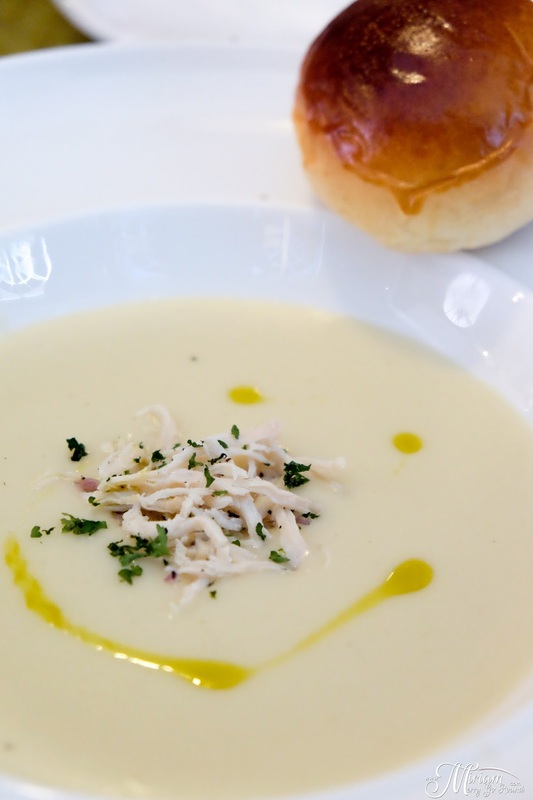 Rich aromatic chicken broth infused with herbs, grilled leek and topped with shredded chicken was a warm appetizer at Le Pont. Their Chicken Leek Soup (RM11.90) was served with house-made soft roll bun which was a joy to dip and soak up all the creamy goodness. I had to remind myself that I still had several main courses to go to stop myself from finishing the whole bowl. 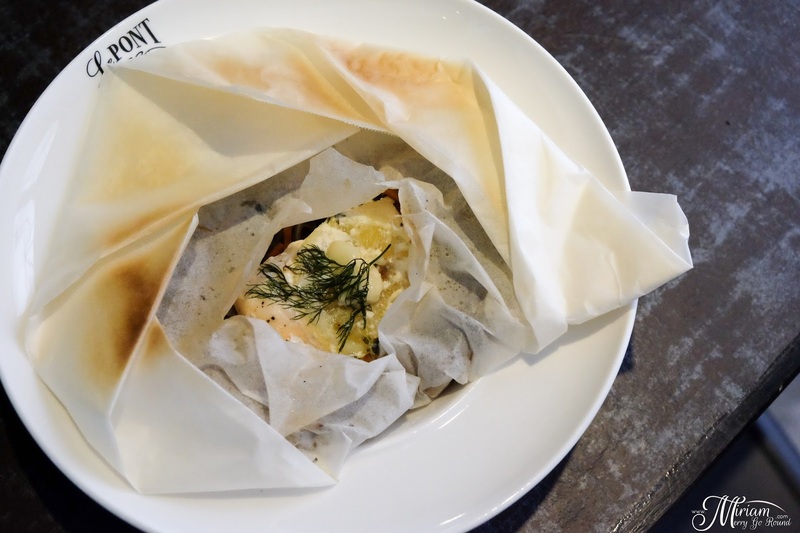 Under the main course section, there are Cheesy Baked Escargot, Fish Pesto Raisin Rice, Fish Papillote and Lemon Caper Chicken. 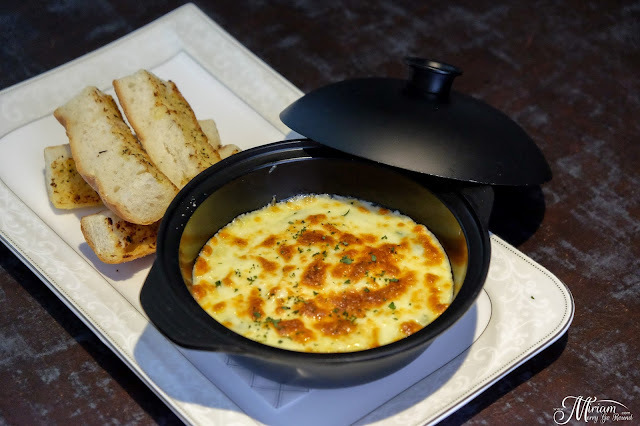 Escargot (RM24.90) is surely one of the delicacies you can enjoy in France which unfortunately I missed out when I was in Paris but now you can enjoy it here at Le Pont. Half dozen escargot were baked in cheese and garlic cream sauce, spinach and a hidden surprise; a slow cooked egg which still had a runny yolk. 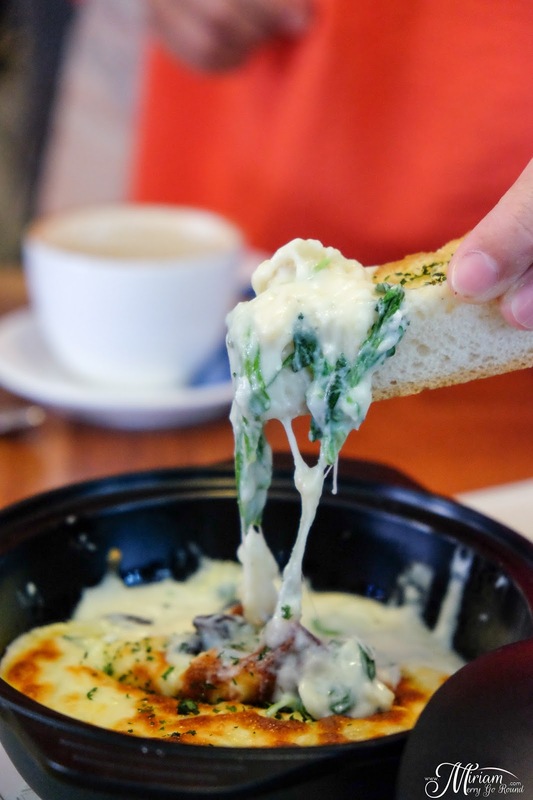 This dish was creamy and flavorful but did not overpower the flavor from the escargot. 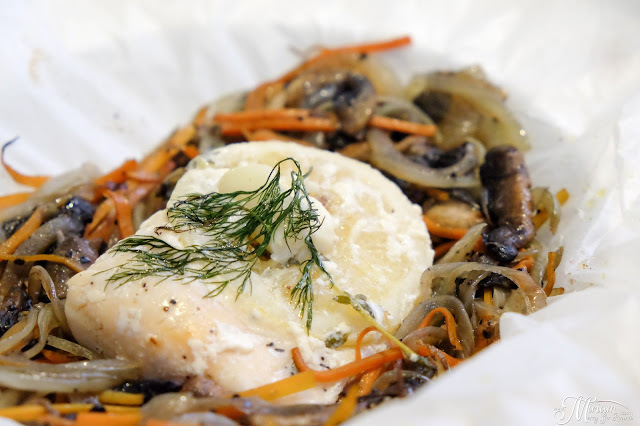 The yolk added more creamy goodness and brought out the aroma from the cheese garlic sauce. Served on the side were some crispy garlic bread, cut into slices and the perfect size to dip into the sauce. Next we were served with the Lemon Caper Chicken (RM32.90) which had a HUGE crisp pan-fried chicken whole leg! The chicken leg which literally took up the whole plate was pressured cooked with lemon caper sauce and anchovies until tender. Still retaining its juices, the flavors were well infused into the chicken making it an enjoyable dish to dig in. Served on the side were some roasted potatoes and ratatouille which I attacked because it was so good. I always think of the Pixar movie Ratatouille when I eat this dish and who can forget the amazing although cartoon dish? Moving on to the next main dish which was my favourite dish of the day, the Fish Papillote (RM25.90) The white tuna cooked sous vide style in parchment paper was so flavourful baked with onions, carrots, leek, button mushrooms, dill and lemon. I realise my taste buds are heading towards healthier choices and this dish really hit the spot. The white tuna was not too dry and the flavors from the lemon and the dill were very well infused. I would definitely come back just for this dish. 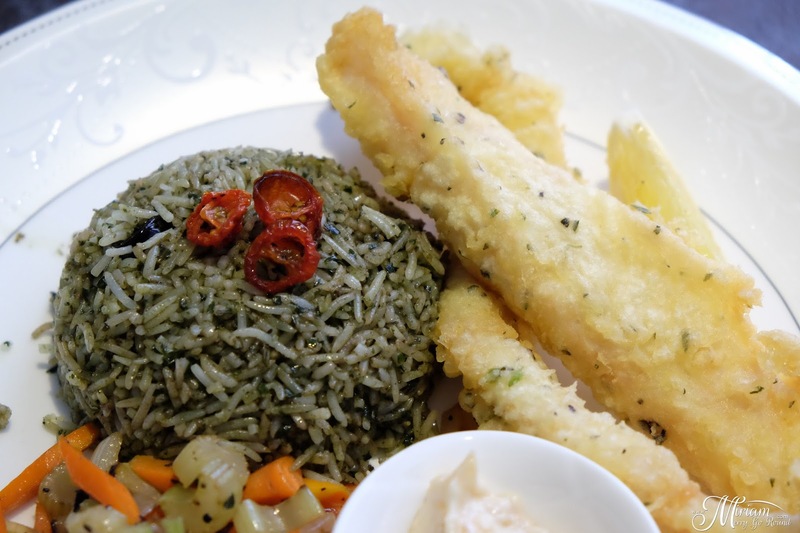 The last main dish to land on our table was the Fish Pesto Raisin Rice (24.90). 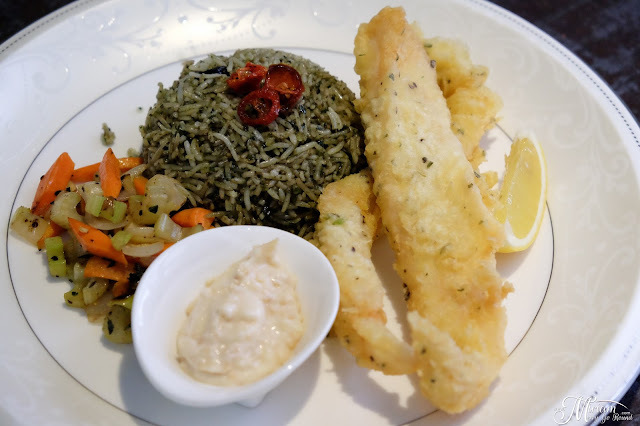 Crispy battered fish fillet was served on top of pesto raisin basmati rice, sauteed vegetable and garlic aioli. Unfortunately this wasn't one of my preferred dish as the overall dish can get a bit too oily and heavy for my liking. The pesto sauce was good although a bit oily but the garlic aioli was enjoyable paired with the battered fish. As our meal comes to an end, it's time for DESSERTS! No matter how crazy my diet it, good desserts still tempt me. With three desserts served, my favourite is the Lychee & Earl Grey Ice (RM13.90). It was a refreshing blend of homemade vanilla ice cream, earl grey ice, earl grey jelly and sliced lychee. 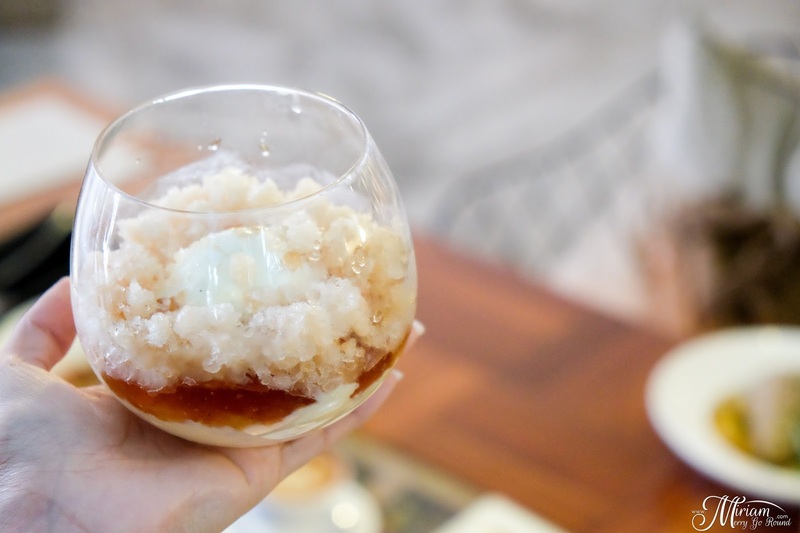 I loved how the creaminess of the ice cream blends so well with the earl grey ice and jelly plus the sliced lychee giving it some additional texture in it. Not only the presentation was pretty, the taste was a light dessert to end the meal. For those who love churros, you might just enjoy the Churros Mania (RM14.90) with crispy churros coated with sprinkling of orange zest and cinnamon sugar. 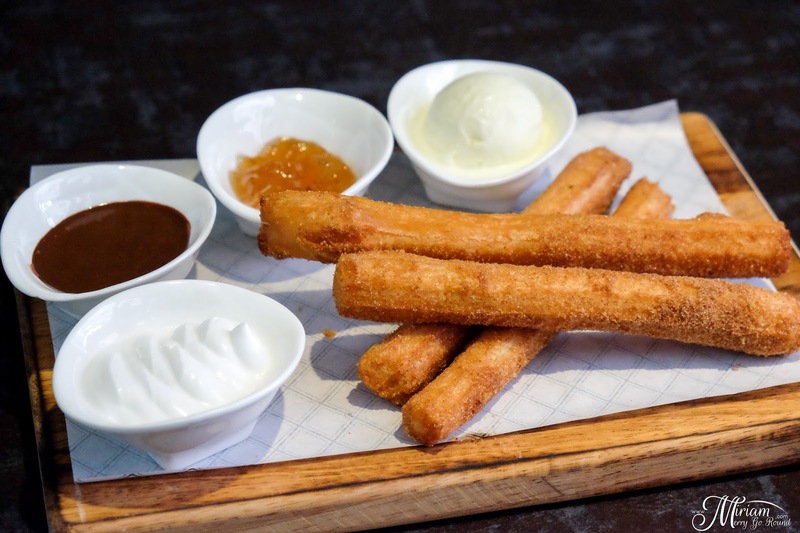 With four different unique dips, make sure you try with their chocolate sauce which has a hint of espresso in it giving it a slightly bitter aftertaste. Now here's the special surprise Le Pont has in store for you. 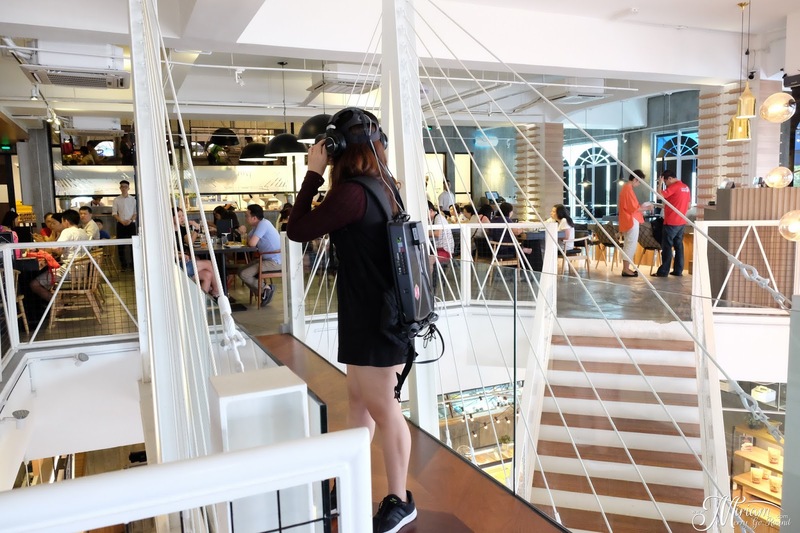 They are currently offering diners an exciting and out-of-the-world VR (Virtual Reality) Experience when you dine there in March. All you have to do it to order their special Tea Set Menu for RM39.90 and enjoy their in-house VR experience for free. 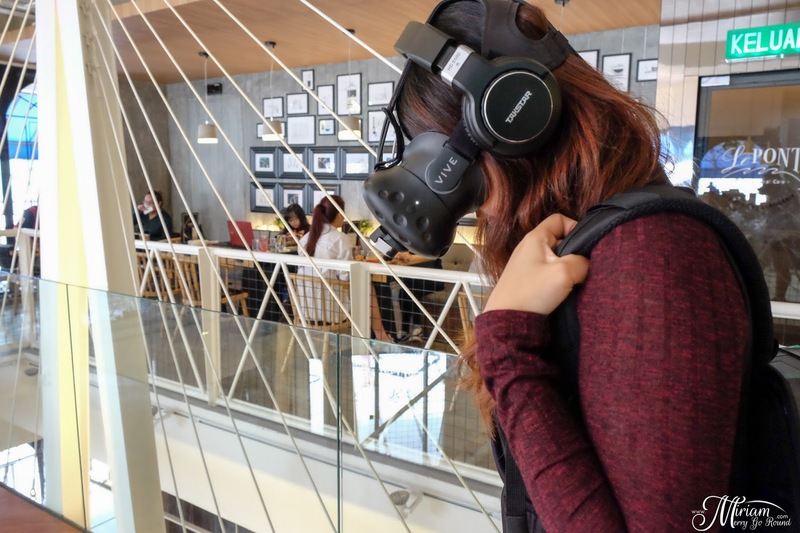 I had a lot of fun trying the VR experience and I really felt like I was transported some where else. 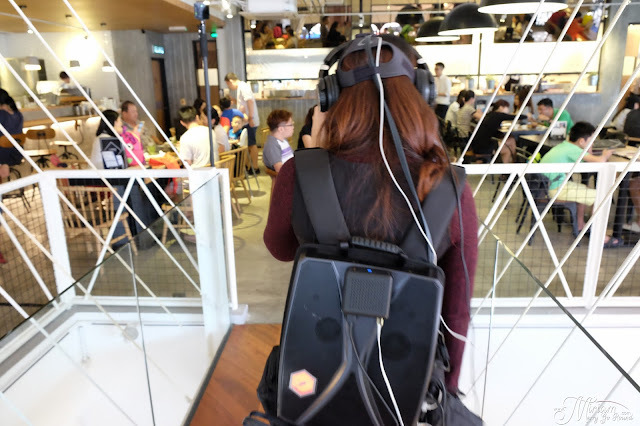 You really need to go try this though I do hope that there will be more selections for VR location. In conjunction with the launch of its new menu, Le Pont also rewards diners with a special Mystery Gift promo. 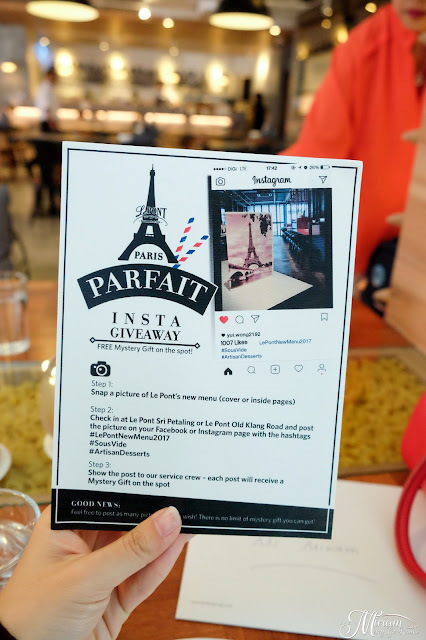 All they have to do is snap a picture of Le Pont’s new menu, check in at Le Pont Sri Petaling or Le Pont Old Klang Road and post the picture on their Facebook or Instagram page with the hashtags #LePontNewMenu2017 #SousVide #ArtisanDesserts. Once they show the service crew their post, they will instantly receive a free Mystery Gift. And best of all, there is no limit to the number of gifts they can get – the more the post, the more they take home! 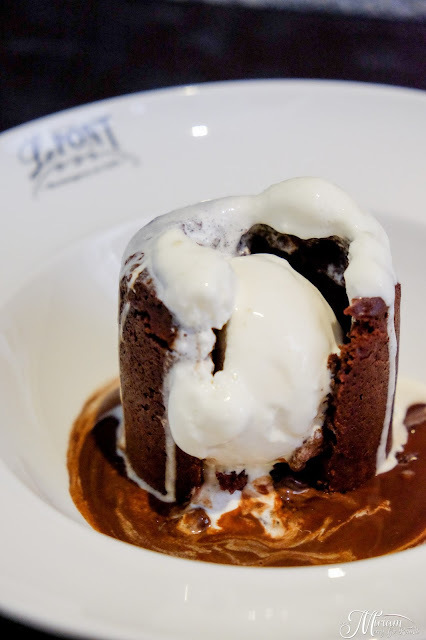 I miss their Chocolat au Coulant, will be going back for that, yummss.